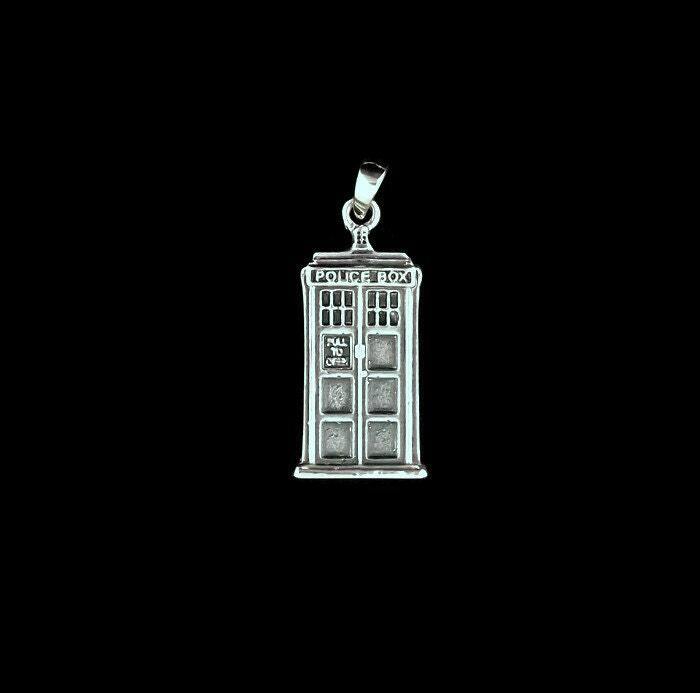 For all the fans of Dr. Who in my life, I made a this Tardis pendant just for you! This listing is for this in gold made to order for you when you order. The pendant is 3cm long plus the bail and 1.5cm wide. The one the picture are the example of them in sterling silver, but wanted to offer the option of them in gold as well. You can choose any carat and color you want and they will take about a week to make for you after you order. Shipping is with insurance and tracking. Thank the Dalek that threatened to exterminate me in order for me to make it!!! The pendant is flat on the back and has space to an engraving which you can order in my shop as well.